Good health is absolutely essential for every one of us. At New Directions, we believe that the physical, mental and emotional wellness of your colleagues contributes directly to your organization’s financial and business performance. Our members are individuals and families, just like you and yours. Employers, health care providers and leading health care companies have partnered with us for more than two decades to help guide individuals toward balance in their careers and personal lives. We provide the compassionate care and innovative tools that enable members to overcome obstacles and challenges—so they can thrive and your business can flourish. We are committed to serving our members, partners and providers with 24/7 support, reducing cost through active preventative solutions and delivering award-winning innovation through our unique clinical service infrastructure. 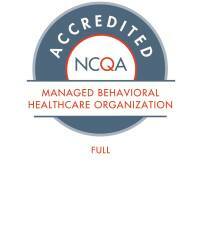 We offer a full range of behavioral health solutions. Our relationship with health plans enables us to integrate our services seamlessly with traditional medical support. Our managed behavioral health services include incisive analytics, the finest in quality assurance and customer service that goes beyond the extra mile in providing care. We believe that together is the way forward. Through the power of partnerships, we can make a meaningful, lasting difference. Learn more about the history, programs and services available to help members improve health through positive change by checking out the NDBH Welcome video. The history, programs and services available to help members improve health through positive change. With more than 21 years of behavioral health care experience, Lee understands the current and emerging challenges that face the managed behavioral health industry. As CEO, he partners with clients to address these issues and create opportunities. Lee provides executive leadership of the company’s managed behavioral health care services, employee assistance program, student assistance program, organizational consulting and health coaching services. Lee joined New Directions in 2014 as chief financial and administrative officer. Since that time, he transformed the company’s revenue and business model, which played a critical role in the company’s massive growth. Revenue in 2018 is expected to be almost four times the revenue of 2014. Prior to joining New Directions, Lee was vice president of finance and contracts for Magellan Health Services. Before Magellan, he worked in finance at McDonnell Douglas Corporation for eight years. In addition to his experience in the private sector, Lee served in the U.S. Army for six years as a tank commander. He holds a dual undergraduate degree in finance and economics from the University of Missouri-Columbia and an MBA from Washington University in St. Louis. Ann has two decades of experience managing risk business for large national customers. She has an organized, disciplined and data-driven approach with a focus on measurable outcomes. Ann sees working with providers to address member population health needs as one of her most rewarding roles. Prior to joining New Directions in 2017, Ann worked for Beacon Health Options as the clinical director responsible for leading the clinical team where she developed and implemented strategic pilot programs and customer experience improvement initiatives. Ann holds a master's degree in social work with a clinical concentration from the University of Maryland and a bachelor's degree from Loyola College. She is a licensed clinical social worker and has Six Sigma Green Belt and Lean certifications. With more than 20 years of progressive health care experience, Steve brings expertise in the areas of managed behavioral health care, Medicare, employer group, wellness, employee assistance program (EAP), student assistance program, provider and broker relations. Prior to joining New Directions, Steve worked at Humana, where he held multiple leadership positions. He served as national practice leader for the behavioral health division and was instrumental in developing strategies leading to successful business expansion and new product initiatives. Steve had responsibility for Humana’s employer group division for five years, and most recently was the national practice leader of the home health division. Steve holds a bachelor’s degree in English from Grand Canyon University and a Master of Business Administration in health care management from the University of Phoenix, where he serves on the Executive Advisory Board for the Center of Organizational Research in the School of Advanced Studies. In his role, Dr. Halfin leads the clinical teams and provides oversight of the company’s medical and psychiatric services, as well as quality management. Prior to joining New Directions in 2016, Dr. Halfin served as vice president and national medical, clinical and operations director of Behavioral Health Services for Anthem Wellpoint. His 30 years of experience in health care also includes leadership positions at Centene Corporation and Magellan Health Services, as well as 11 years in private practice. After earning his medical degree from the University of Costa Rica, School of Medicine, he completed his residency in psychiatry from Columbia University College of Physician and Surgeons in New York, and his research fellowship in psychopharmacology from New York University. With more than 20 years of experience in health care IT, Tim is a visionary, an innovator and an expert in leading systems, applications and data conversions. His ability to align client goals with appropriate technology solutions is instrumental in delivering value to New Directions’ clients. Prior to joining New Directions in 2017, Tim spent 18 years at Magellan Health Services leading the claims and IT teams. Most recently, he served as vice president of IT. Tim has a bachelor’s degree in computer science from Texas A&M University and a master’s degree in business administration from Maryville University of Saint Louis. Since joining New Directions in 2009 as a finance manager, Robin has held various leadership roles and achieved several promotions within the financial business unit. She led the implementation of two payroll systems, created a standardized budgeting process across the company, and reorganized the compensation and bonus structure to better align with the market. Prior to New Directions, Robin had extensive experience in the financial industry, including a variety of roles in finance and accounting at CBIZ, a national financial services and business consulting company, and at other private accounting firms. Robin’s leadership and strategic thinking skills coupled with her deep knowledge of finance, auditing, accounting and tax preparation have been instrumental to New Directions’ rapid growth. A certified public accountant, Robin has a bachelor’s degree in accounting and business administration from Pittsburg State University. Since joining New Directions in 2012 as General Counsel, New Directions workforce has grown over 300 percent, and revenue has more than tripled as well. With a strong pulse on health care law, Noreen is a board member for the Association of Behavioral Health and Wellness which develops policy proposals and advocates for improvements to mental health and substance use disorder access and treatment. She also is a member of the American Health Lawyers Association and serves on its behavioral health task force. Prior to joining New Directions, Noreen was Legal Counsel and Model Laws Coordinator for the National Association of Insurance Commissioners. She previously worked for Health Capital Consultants, Magellan Health and Research Psychiatric Center. Noreen graduated from Rockhurst University with a bachelor's degree in psychology. She received her Juris Doctor and Certificate of Health Law from St. Louis University School of Law.